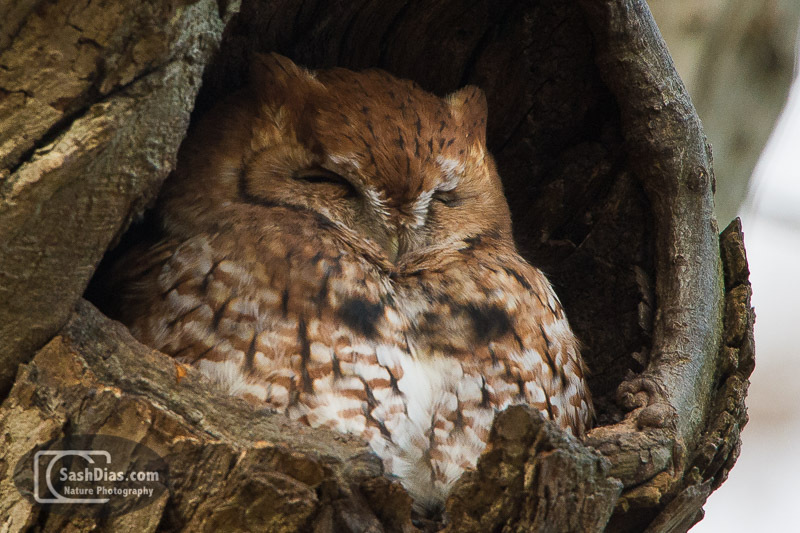 This Eastern Screech Owl occupied a tree stump in Cambridge for a few weeks. Whats was surprising was that though the stump was located on a sidewalk of a pretty busy street, but it didn't seem to bother the little owl. I ended up making three trips but only saw the owl once. That's ok - I'll take it! 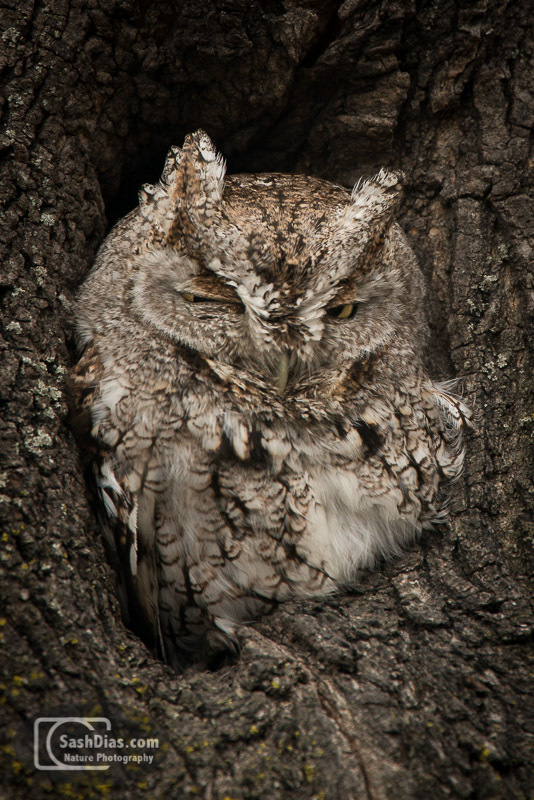 Screech Owls can be one of two general colors - the gray morph or the red morph. The first picture is of the owl in question - it was a gray morph, though you can see it has some brownish coloring too. This got me looking through my files for a red morph so I could show the differences, and the second picture is of a red morph that I actually photographed a few hundred yards away from the gray morph (though a couple of years apart).